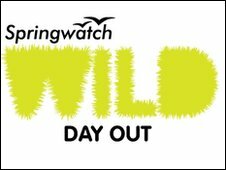 Southampton Common is playing host to a Springwatch Wild Day Out - packed with fun activities designed to get the whole family hooked on wildlife. 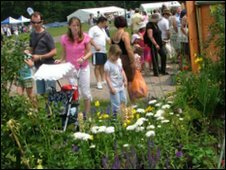 The event on Sunday, May 30 2010 encourages biodiversity in gardens, parks and outside spaces and should inspire you to do something positive for nature. Visitors will be able to take part in a variety of wild activities inspiring them to support nature in Southampton and beyond. Among the events on offer is a nature trail, nest box and bird feeder making, natural art, a mobile animal farm on the Common. 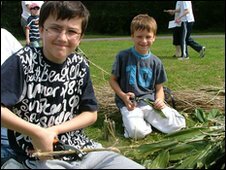 The free event marks the International Year of Biodiversity 2010 promoting the importance of protecting a wide range of species across the UK and around the world. Local wildlife and conservation organisations will be on hand with help and advice on how to 'do your bit' to help the natural environment. The RSPB, Hampshire & Isle of Wight Wildlife Trust , The National Trust, Natural England , Groundwork, Amphibian and Reptile Conservation, the BBC Wildlife Fund , and Hampshire County Council's Countryside Team as well as Southampton City Council Open Spaces will all have a presence. BBC South will be at the Wild Day Out - you can have a go at reading the nature news on TV and Georgie Windsor will be broadcasting her Good Life show live on BBC Radio Solent. Springwatch presenter Kate Humble said: "The Springwatch Wild Days Out are a great opportunity to learn more about the importance of biodiversity and to see what small thing you and your family can do for nature in your area." Chris Packham added: "Springwatch is very good at empowering people to realise that they can make a difference - they can do things themselves and if they do the things in their garden that they ought to do, then that is four million gardens that are better places for wildlife." Kate Humble and Chris Packham will be back in action as the BBC is set to inspire new wildlife heroes to do something for nature during the popular Springwatch series. Dorset's wildlife will also be under the spotlight, as presenter Simon King will be exploring the county. And, on Sunday 20 June viewers can join the Springwatch team on BBC Two for an inspirational Wild Night In - a two hour fund-raising extravaganza featuring David Attenborough, Graham Norton, Edith Bowman and other celebrities in support of threatened wildlife and wild places through the work of the BBC Wildlife Fund.